The Second Stage QSchool Results can be found at the bottom of this article. 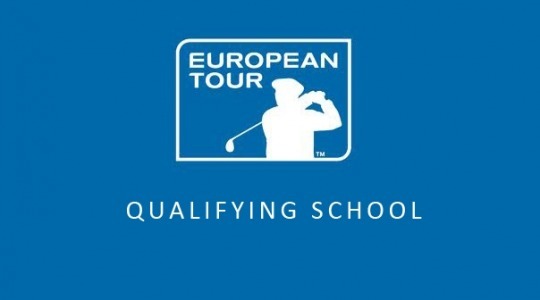 The Second Stage of the European Tour’s Qualifying School started on Friday 3rd November at four venues in Spain. The 72 hole competitions were all to be played over four days with no cut. However, following strong winds Sunday’s Round 3 at the Panoramica course was postponed. This Qualifier therefore finished on Tuesday, a day later than the others. The fields included the 176 players that qualified from the eight First Stage events. The qualifiers were joined by those players who were exempt from First Stage due to their performances on the 2017 European Tour, Challenge Tour and other feeder / satellite tours. Exemptions were also given to the leading 5 entrants as at 23rd August 2017 to a limit of 15th place in the World Amateur Golf Ranking provided that they had applied to enter the First Stage by this date. In 2017 this rule benefited Scott GREGORY (ENG), Connor SYME (SCO) and Robert MACINTYRE (SCO) [all of whom qualified this week for Final Stage]. 86 players progressed to the Final Stage of Qualifying School. The Panoramica site was originally scheduled to have 21 qualifiers but for unknown reasons 22 players were allowed through. With the final round delayed perhaps time ran out for the ‘3 for 4’ play off that should have taken place ? Sudden death play-offs were required and used at the three other Second Stage qualifying sites where play concluded on Monday. This year the Final Stage competition is being played at Lumine Golf Club in Tarragona, Spain between the 11th and 16th November. The Lakes and Hills courses will both be used. This should be beneficial to the less experienced players who make the latter stage as this represents a new venue for the six round marathon, albeit the Lakes has hosted one of the Second Stage events for some time. You will recall that prior to 2017 PGA Catalunya Resort had been used for Final Stage for many years. The leading 25 players (and ties) from the 156 that will contest Final Stage will be eligible for Category 17 membership of the European Tour and Category 5 membership of the Challenge Tour for the 2017/18 season. The leading 70 players (and ties) who make the 72-hole cut will obtain Category 22 membership of the European Tour and Category 9 membership of the Challenge Tour. Those who miss the cut receive Category 15 membership of the Challenge Tour. There were 76 entries at Desert Springs with 21 from GB&I (26%). Sam HORSFIELD (ENG) T18 (-8) – via a 5 from 6 play off. There were 74 entries at El Saler with 25 from GB&I (34%). Jonathan THOMSON (ENG) T17 (+1) – via a 5 from 6 play off. There were 73 entries at Las Colinas with 23 from GB&I (32%). David BOOTE (WAL) T20 (-3) – via 2 from 10 play off. There were 74 entries at Panoramica with 26 from GB&I (35%). So 30 GB&I players, representing 31.5% of the 95 that entered Second Stage, have made it through to Final Stage. Of course more GB&I players, those with stronger exemptions, will now enter the fray which starts again this coming Saturday. Sadly the two remaining GB&I amateurs in the field, Josh HILLEARD (ENG) and Craig HOWIE (SCO) both missed out. The Second Stage European Tour Qualifying School events were completed today after four days of intense competition. 267 players competed across four courses in Spain – El Saler, Las Colinas, Lumine and Panoramica – with a total of 73 players progressing to next week’s Final Stage Q-School event. 104 players from Great Britain & Ireland (GB&I) were in the Second Stage Field. 25 were successful and they now move onto the six-round Final Stage competition that will take place at the PGA Catalunya Resort in Gerona between 14th-19th November. 7 GB&I players out of a starting 26 qualified at El Saler. Devon’s Walker Cup star Jimmy Mullen (-16) was medalist by 4-shots once again demonstrating his ability to rise to the big occasion. Yorkshire’s Jordan Wrisdale who has only recently turned Pro qualified comfortably in T5. Birthday boy Jordan Smith (23 today) and Josh Loughrey, who both secured Challenge Tour cards in recent weeks, via the PGA Euro Pro Tour and Alps Tour respectively, also remain on course to go one better. Will Roebuck (75), Luke Cornford (76) and amateur Nick Watson (80) will all be disappointed to have fallen away on the final day. Ireland’s Chris Selfridge had to withdraw when well placed with an injured wrist while Gavin Moynihan will be disappointed with his finish after an encouraging opening day. There were just 3 GB&I qualifiers from the 23 starters at Las Colinas. England’s Jamie Rutherford and Wales’ Stuart Manley, who performed very consistently led the way. Swedish amateur Marcus Kinhult confirmed his outstanding potential by finishing T3 on -11. In a tightly bunched field Darren Wright, Jamie Elson and Oliver Farr all drifted out of the qualifying places on the final day after shooting 73’s. Lumine proved to be a happy hunting ground for the GB&I players with a total of 9 progressing from the 26 starters. Daniel Gavins starred with medalist honours, sprinting through the finishing line with a -19 total. Paul Howard was a notable qualifier with a consistent set of scores but it was his namesake and former GB&I amateur colleague Paul Dunne that stole the headlines – a final round 67 and progression through a play off saw to that. French amateur Robin Roussel, who finished with a best of the week 62 and T3 place, should also be noted. Amateur champion Romain Langasque finished on -2 and 51st and is therefore still in line to play in three Majors next year. English amateur Ashton Turner just missed out but can take confidence from his 69, 66 T25 finish. 6 GB&I players progressed from Panoramica from the 29 that started out last Friday morning. Ireland’s Brian Casey finished T1 with Spanish amateur Scott Fernandez with an astonishing -24 total. Ashley Chesters will join his Walker Cup partner Jimmy Mullen at Final Stage as will 2014 Amateur champion Bradley Neil, both of whom qualified well. Irish amateur Jack Hume nearly delivered a Second Stage miracle – his final round 63 got him in to a 6-man play-off on -11 but he sadly came up short and will now be relying on withdrawals to make it to PGA Catalunya. Australia’s Antonio Murdaca shot a final round 64 to make the grade and join compatriot Todd Sinnott, who qualified at Lumine. Both are newly turned Pro’s managed by Chubby Chandler’s ISM.